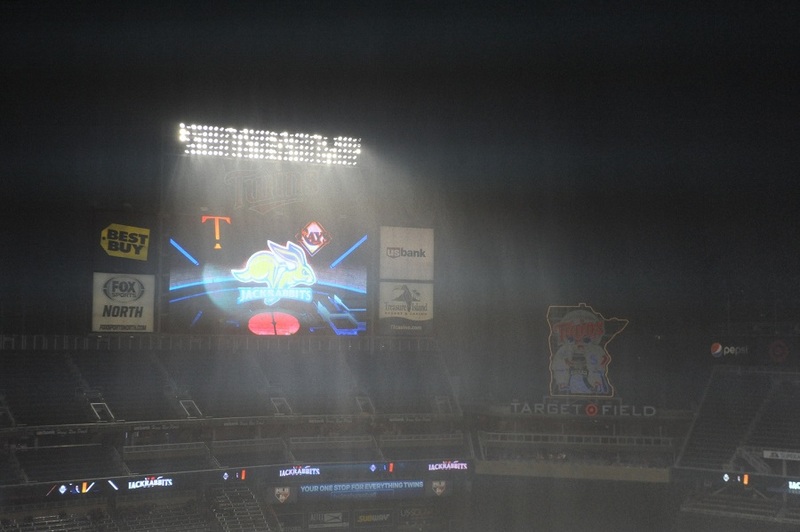 To say that the Twins pre-All Star Game performance (or at least results) has been disappointing is probably an understatement. Coming off of an 85-win season and the team’s first playoff game since 2010. With so many young players making such a big contribution over the final two months of 2017, hopes and expectations were high that the Twins offense could be a top offense in the league in 2018. Instead, the team has really struggled, scoring significantly fewer runs than they did in the first half last year. Let’s take a look at what has happened and see if there is hope for the second half. For today’s article, we are going to make the assumption that the Twins 9-2 homestand has pushed them from certain sellers to fairly inactive at the July 31 trade deadline. While it’s easy to say that the 2018 season has been disappointing, should we really be surprised? I mean, before the season started, their top pitcher from 2017, Ervin Santana, had surgery on his right middle fingerand is yet to throw a big-league pitch this season. Jorge Polanco, their shortstop and their best hitter (arguably) over the final two months in 2017, was suspended for the first 80 games and returned just recently. Their catcher, Jason Castro, who had his best offensive season since 2013 in 2017, played just 19 games before needing season-ending knee surgery. Byron Buxton only got through a couple of weeks before he fought migraines. A quick rehab stint involved fouling a ball off his big toe which affected his swing and even cost him a little bit of speed. A year ago, he was the best defensive player in the American League. And Miguel Sano had his fair share off off the field issues this offseason to go along with having a rod put in his leg. Things didn’t go well for Sano right from the start. He struck out 66 times in 163 plate appearances. After 37 games, he was optioned. Not just to Rochester, but all the way to Ft. Myers where he remains. Joe Mauer was having another solid season, but in mid-May, he dove for a pop up and came up with a neck injury and concussion-like symptoms. He missed a month and it took him a week or ten days to get his bat back. Logan Morrison and Lance Lynn were terrific, mid-spring training signings. Fans were excited about the idea of adding Morrison, who hit 38 home runs for the Rays a year ago, and Lynn, who many projected to get a nine-digit contract in the offseason. The Twins signed the two of them for a combined $17.5 million for 2018. Lynn took six weeks to get anything going, through he’s been better of late. Morrison was awful in April, good in May, and has been really bad since June. He landed on the disabled list with a hip injury. Fernando Rodney had a rough first month, but he’s been fantastic since the calendar changed to May. Trevor Hildenberger also struggled in April but has been terrific since. Another free agent reliever signed was Addison Reed, who started the season very well, but he really struggled after being used a ton early. He is now on the DL with a triceps injury. Like Reed, Ryan Pressly and Zack Duke were used nearly daily early in the season. Pressly seems to have recovered from a brief hiccup, and Duke has actually been quite good. Now, if you would have known all of that, would you still expect this team to be above .500, or would you expect them to be about where they are? I mean, Eduardo Escobar moved to third base and filled in more than adequately for Sano. Ehire Adrianza replaced Eduardo Escobar who replaced Jorge Polanco at shortstop. Again, Adrianza performed as well as could be hoped or expected. But the upside isn’t there. With Buxton out, Max Kepler often moved to center field with Robbie Grossman in right field. While Kepler is decent in center,i t’s not the same as Bxton out there, and Grossman is nowhere near the defensive outfielder that Kepler is. Ryan LaMarre, a journeyman, performed as well as possibly could have been expected for a fifth outfielder forced into regular action. He was DFAd, and Jake Cave has been really good in center field and with the bat since Buxton’s rehab ended and he was optioned to Rochester. Mitch Garver has been just fine at the plate. He had some glaring issues behind the plate early in the season, but since the first month, his defense hasn’t - at least obviously - hurt the Twins. But replacing Castro with Wilson has been an obvious step down. We have often asked why Garver isn’t playing more. The drop from Joe Mauer to Logan Morrison defensively is clearly noticeable. Brian Dozier was hitting just .219/.303/.389 (.692) through the season’s first 85 games. He got hot over the team’s final eight games before the break. Hopefully that second-half dominance of Dozier that we’ve become accustomed to will show up through the rest of the season. Max Kepler has shown vast improvement against left-handers, but a quick look at his OPS+ over his past three seasons, he has been at 96, 95 and is at 97 in 2018. A little better, but at 25, it would be nice to see him have a strong second half. And hey, let’s not even talk about the base running miscues that have followed the Twins all season. Or the signing of Matt Belisle. Eddie Rosario should have been an All-Star. He’s been as good as it gets over the last 12 months. He’s clearly been the Twins MVP. Eduardo Escobar and all of his extra-base hits have been huge. Jose Berrios was the Twins’ All Star representative, and deservingly so. Kyle Gibson also was very good, continuing to show that the adjustments he made last August have paid off for him and the team. When the Twins begin the post-All-Star break on Friday, they will have about ten days to determine whether they are buyers, sellers, or if they will wait into the August waiver period to make trades in either direction. While they have probably played themselves out of contention for a Wild Card berth, they will have to play great the rest of the way to surpass Cleveland, though they will have plenty of head-to-head opportunity. Ervin Santana should be back by his next start. Polanco is back now and has already reminded us why we were excited about him coming in to spring training. Can Byron Buxton get back on the field in Rochester soon and get on a role and come back to the Twins? Can Miguel Sano continue to do the things asked of him in Ft. Myers, start displaying some power and get back to the Twins in time? The Twins come out of the All Star break with a ten-game road trip. They play three in Kansas City, three in Toronto and then four in Boston. The final two games of the month will be at home against Cleveland. The first half had some nice moments. Brian Dozier’s walk off grand slam was a fun way to end the half. There are reasons for Twins fans to have hope, but a lot will have to go right, and maybe more important, a lot will have to go right in the first ten days to determine the direction for the rest of the season. great write-up! funny that starting pitching is hardly mentioned, but it makes sense given all the lineup and bullpen problems. Gotta go 7-3 on this road trip and then take at least one from Cleveland to not sell? Or we could “buy” right now, giving us the best shot possible to catch Cleveland. And if we fail, we can always return to being sellers. TheJacKmp comment above about 7-3 is probably right but 6-4 with a Cleveland sweep immediately after will likely keep us in contention too. Or a 6-4 at least keeps us afloat but slightly sinking. And going 1-3 AT Boston is likely, so that suggests sweeping at KC and 2-1 at Toronto is needed. If I had to guess, I would guess 4-6 and the garage sale would begin. If you get a good offer for someone not in your 2019 plans TODAY, you take it.Nothing this team has done in 2018...including nothing in the last two weeks...warrants any type of short term decision-making. I think anyone who sees this team as a contender is dreaming. The Twins have been below .500 since April 23, when they dropped to 8-9. They have been at least 5 games under at the end of everyday since May 26, when they dropped to 21-26. Harmon Killebrew and Kirby Puckett ain’t walking through the clubhouse door gang. Bad players. Bad performances. Bad managing. Bad decisions at the top. Seth, I think when we focus so much on one team, it's easy to forget that everyone deals with injuries. And those injuries happen to good players on other teams too. People have posted charts in other threads, a weighted injury count for each team, and the objective facts show that the Twins haven't been any more hampered by injuries than most teams. Basing an expectation off of presumed perfect health is fools gold from the start. More likely is that this team just wasn't quite as good as many expected. This is spot on! Its a mirage folks. It wouldn't say it's a mirage but last year probably was a a mirage and got all of our hopes up a little too high. We have about half of a contending team, 2/3 if Sano and Buxton come back performing well. We're still short at least one middle of order bat (preferably RH), a quality Catcher, one good mid rotation starter if Berrios is a true #1, or a #1 starter if he's not, and 2-3 BP pitchers.We have 4 pretty good to very good OFs if Buxton comes back to be at least average at the plate, 4 decent but no great IFs,2 backup catchers, 3 #2-4 starters with maybe another #3 if Santana comes back strong,3 solid BP pieces plus a good but not great closer, a pretty good UTL IF and no real bench bat. Sounds like an 85 win team if things all go well (2107), and a 75 win team if there are serious injury or under performance problems (2018). Bill Parcells said that "You are what your record says you are". Perfect for this team. Could we fill those holes with MiLB players or Free Agents? Anything's possible but it's hard to see how in the short term. We need the hardest things to find - a #1 starter, a #3-5 hitter, and a quality catcher. Doesn't look like those guys are in the minors right now and that's some expensive free agents. Maybe Berrios becomes that #1 starter, maybe Sano becomes that #3 hitter, maybe Garver becomes that quality catcher and all we then need is the #2 starter, a #4 hitter and a quality backup catcher. It's too early to completely tear down and rebuild but it's hard to be optimistic about a 90+ win team next year. I'm sorry, but I have to disagree. Yes, other teams have injuries. I don't dispute that, or that some teams have dealt with it better. But no Santana at all, no Polanco for half a season, Castro playing injured before having to give it up, the injuries/disappointment with Buxton and Sano, Morrison performing well below career norms, etc, is just an awful lot for any team to overcome unless you have a hell of a bench, or some quality prospects ready to step in. I'm not arguing Molitor or a bench that could have maybe been one player deeper, or a lack of "decent" options at AAA. I hate to use terms like "unlucky" or "snakebit", but really, there has been a rash of injuries and issues that have plagued this team. A contender if everyone is relatively healthy and performing at close to expectation? Make up your own mind. But this would have been the best Twins team assembled in some time otherwise. Tell me all of these things were to happen before the season started and I'd have given you a big "oh vey"! No one is saying that injuries don't happen to other teams. Most teams deal with a couple. I thought the Twins had good depth both with adding veterans late in spring trainingand in AAA. I think that the bigger expectation, at least for me, was for the young guys to take a step forward. Rosario has. Berrios has. Kepler's flat.... Buxton and Sano have done nothing to this point. That's where the expectations really were dropped. But it's silly to say that losing a starting pitcher, your primary catcher, your shortstopand #3 hitter, your third baseman and your platinum glove winning centerfielder isn't going to affectthe Win-Loss column. It's almost a blessing to come out of the gate with a 10-game roadie that includes a 4-gamer in Boston. The Twins won't be able to hide anything, we'll see very quickly if they are going to have a chance to compete for this division. If not, they still have a few days to work out some trades. I agree. And I think what magnifies the effect from a fan perspective is that last year’s team seemed unusually lucky in terms of injuries. There were nowhere close to as many major, long-term injuries last year, which is what helped us over-perform and have the surprising 85 wins. If they’d had a few more injuries and ended up a still much-improved 75-78 win team, we’d have felt good and would have been targeting being somewhat above .500 this year. That would have made this year feel like a minor disappointment rather than a major bummer. Going into this year, I was saying that they could be improved and still only end up around 85 wins based on a more normal number of injuries. But all the stuff you name got us into the big hole. But even with the long losing streak, they are 15-14 over the last month. Go .500 the rest of the way and they end up at 78-84. Win 78 last year, and I think 78 this year would have seemed like a good-sized bummer, but not necessarily a full-fled disaster. But realistically, I think the team IS better at this point than it was at many points in the first half. Even decent second-half health, plus Santana, and I think it’s still easily possible to get to at least .500, maybe a few games above. 90 wins? No. But even 83 or 84? Possible. I believe every writer on the board except 1 or 2, predicted we would make the playoffs. They didn't suddenly become dumb. Every year in every sport, injuries derail teams. Polanco missed 80 games, and Buxton and Sano have thus far crapped the bed. I'm not throwing the baby out with the bath water. Perhaps it's time to stop expecting Buxton to be healthy. Tough to like a post such as this, but I appreciate sober thinking over "positivity"